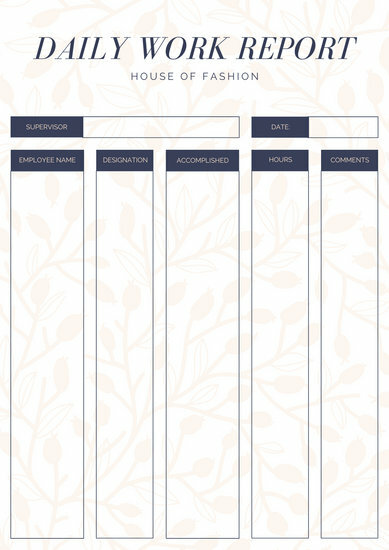 Give your daily reports a beautifying boost. 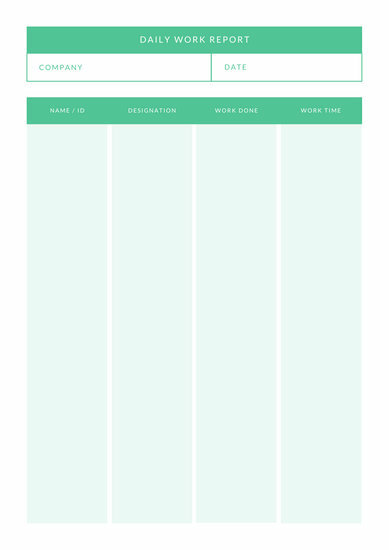 Try one of our customizable design templates - free to edit on Canva. 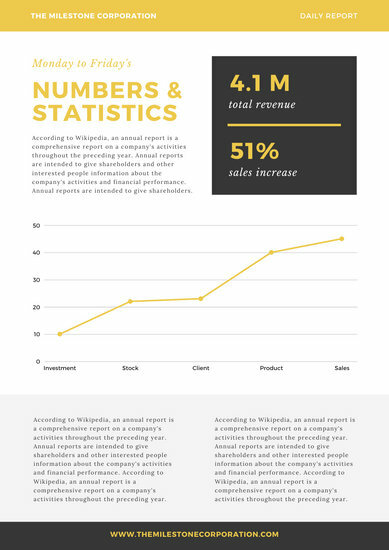 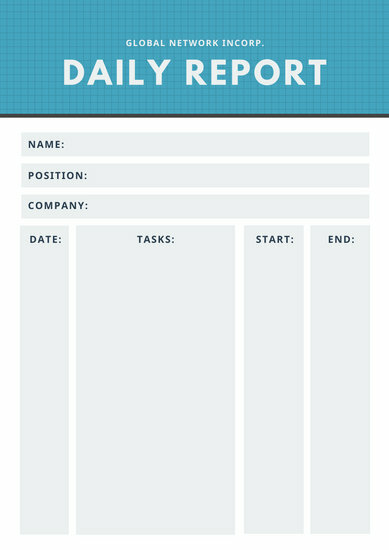 Daily reports are crucial to the success of a business. 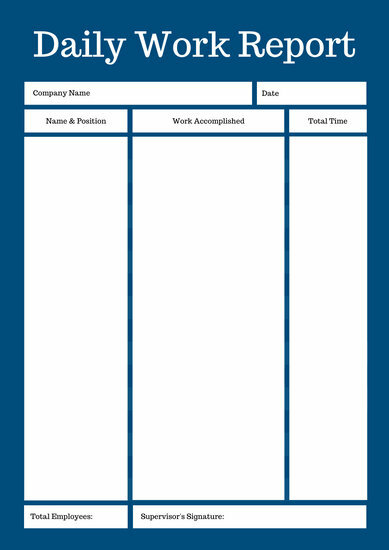 By having a daily report, the management will be able to keep track of a project’s progress on a daily basis. 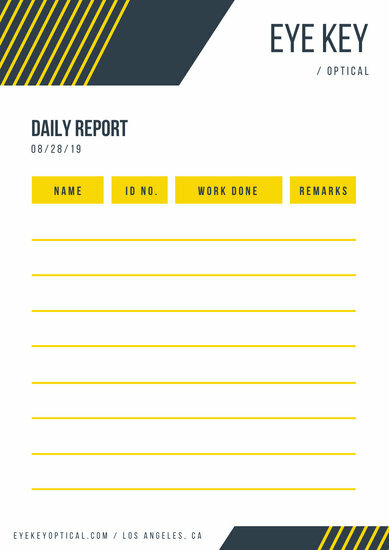 Unfortunately, good daily reports are hard to come by. 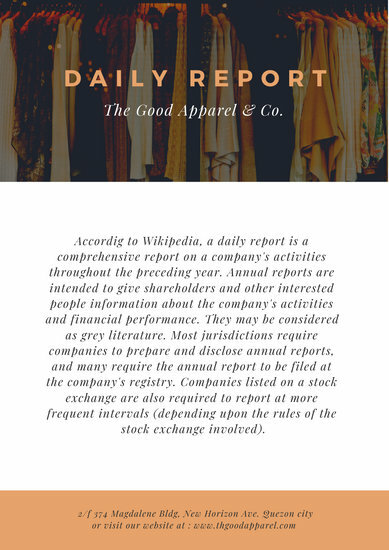 However, filing a daily report shouldn’t be a cumbersome task. 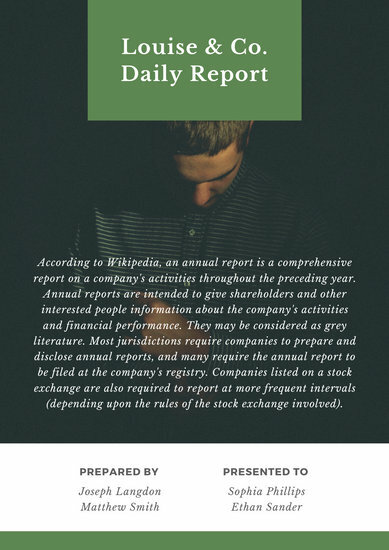 It should take about 10 to 15 minutes to complete the report at the end of the day. 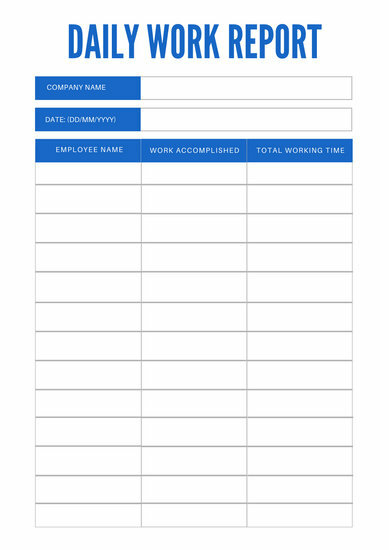 Having a clear, concise, and complete daily report filled out at the end of each business day will result to an effective communication between the management and the staff. 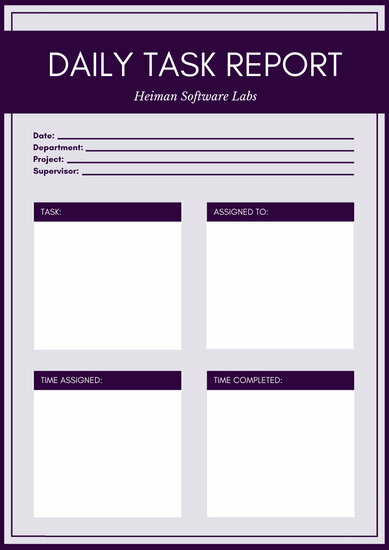 Since no two projects are the same, it is important that you come up with a daily report that is highly customizable. 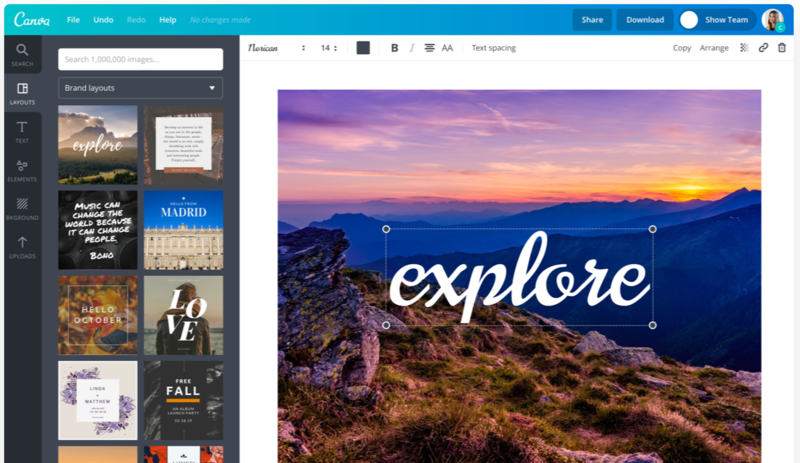 The great news is that Canva’s design software allows you to create beautiful daily reports that can be tailored for each project you are working on. 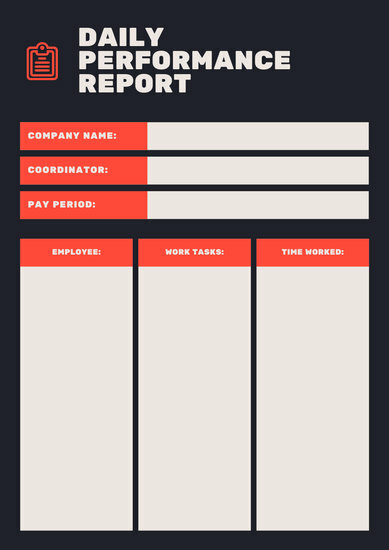 Simply use one of the hundreds of report templates that are available on the site. 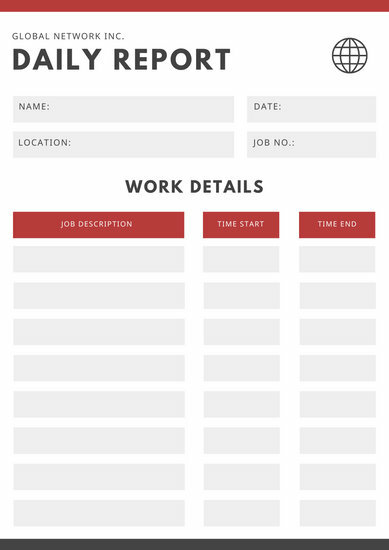 Edit and customize the template according to your needs. 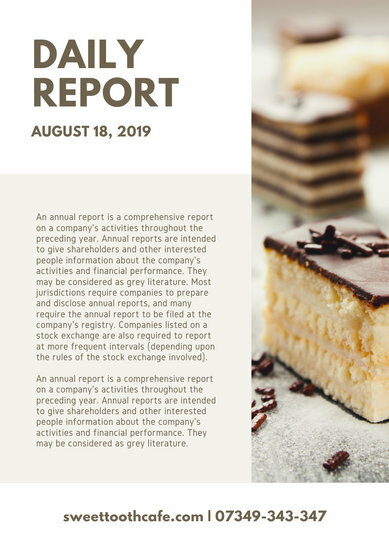 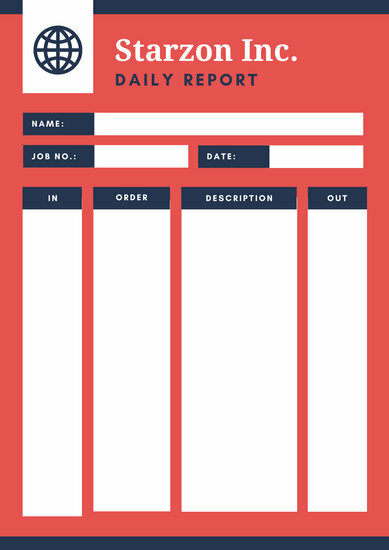 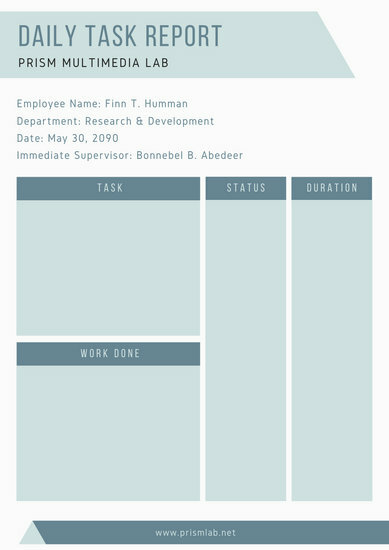 If you want the daily report to have the same design as your other office documents, feel free to change the color scheme, background, and font style. 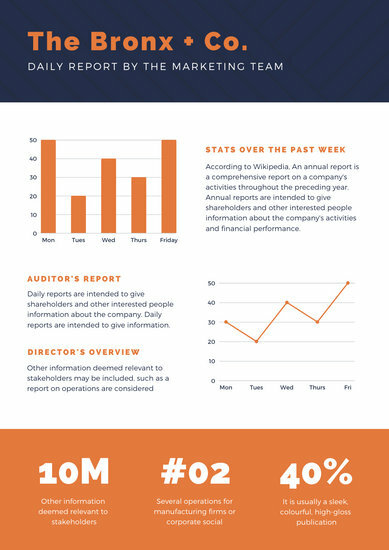 You also have the option to add high-quality vector illustrations and icons to visually break up the content of your report. 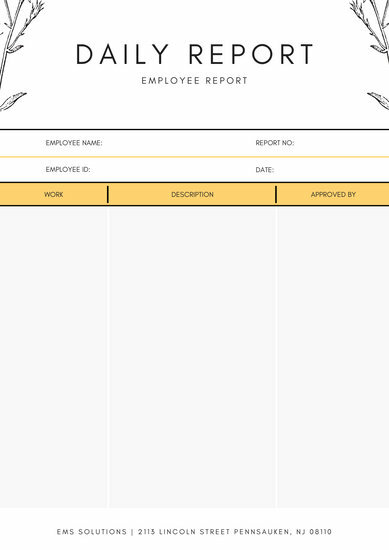 Once done, you can save your daily report in PNG, JPEG, or PDF formats and share among your colleagues. 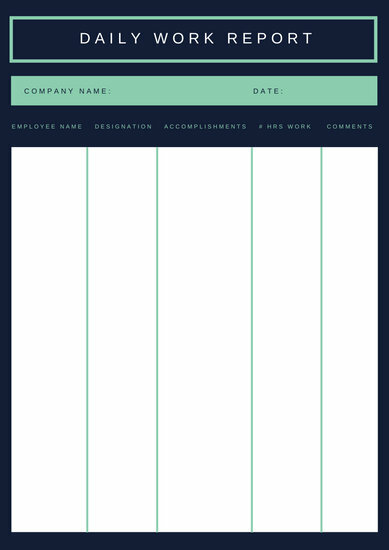 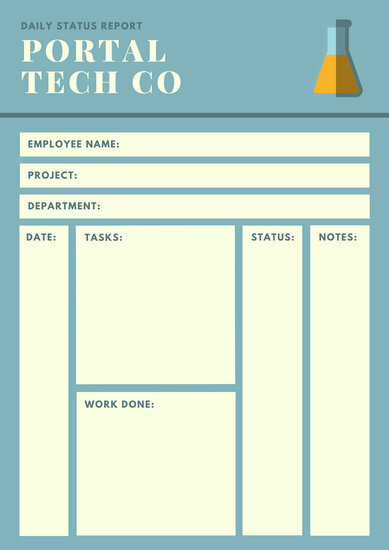 Or you can share the design so coworkers can easily access and make their own edits to it."